Out of the core of experience, these essays began as obsessions. Whether founded in some strongly lived moment, deeply held conviction, long-term interest, or persistent and unanswered question, these essays reveal the writer’s voice—personal, often passionate, full of conviction, certainly unmistakable. Marianna Torgovnick has drawn together writings by leading contemporary scholars in the humanities, representing fields of literary criticism, American and Romance studies, anthropology, and art history. 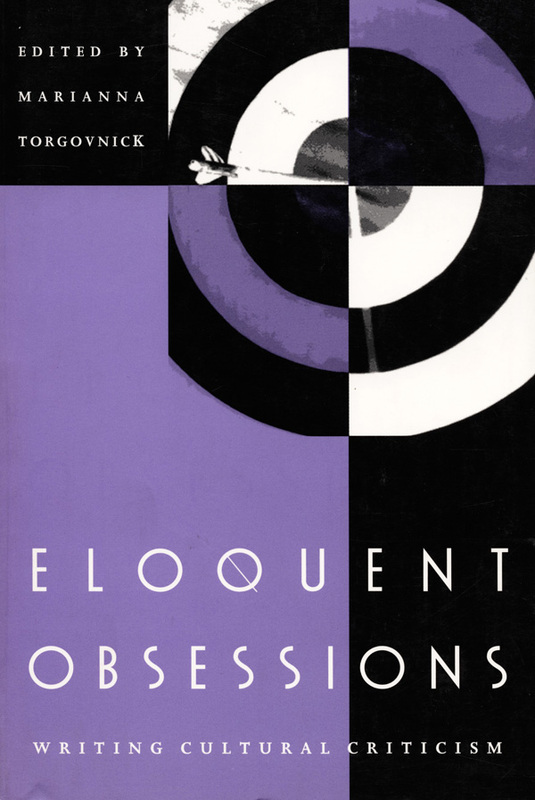 Eloquent Obsessions presents cultural criticism at its thoughtful and writerly best. This collection explores a wide range of issues at the intersection of personal and social history—from growing up in the South to exploring a love for France or Japan, from coming of age as a feminist to mapping the history of National Geographic, from examining the cultural "we" to diagnosing class structures in Israel or showing how photography deals with AIDS. The authors here bring writerly genres—autobiography, memoir, or travel narrative—to intellectual tasks such as textual readings or investigating the histories of institutions. Continuing a tradition of cultural criticism established by writers such as Samuel Johnson, Zora Neale Hurston, Edmund Wilson, Hannah Arendt, or Raymond Williams, these essays seek to make a difference, to have an impact, and are based on the fundamental premise that writers have something to say about society. Simply put, this collection offers models for writing eloquently about culture—models that are intellectually and socially responsible, but attuned to the critic’s voice and the reader’s ear. Aimed not just at academics but also at a more general audience alive to the concerns and interests of society today, Eloquent Obsessions, a revised and expanded version of a special issue of South Atlantic Quarterly (Winter 1992), will extend beyond the academy contemporary ways of writing about culture. Marianna Togovnick, Professor of English at Duke University, is author of Gone Primitive: Savage Intellects, Modern Lives and Crossing Ocean Parkway: Readings by an Italian-American Daughter.